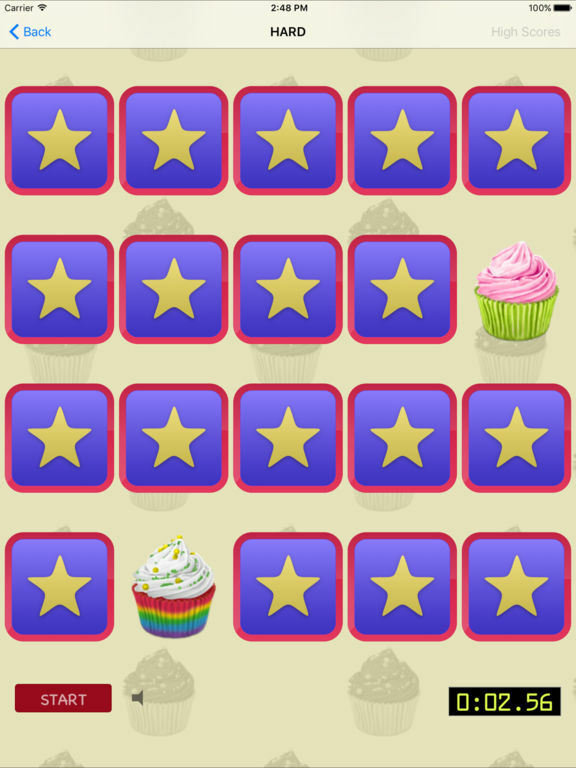 Memory Match Game with your favorite cupcakes! 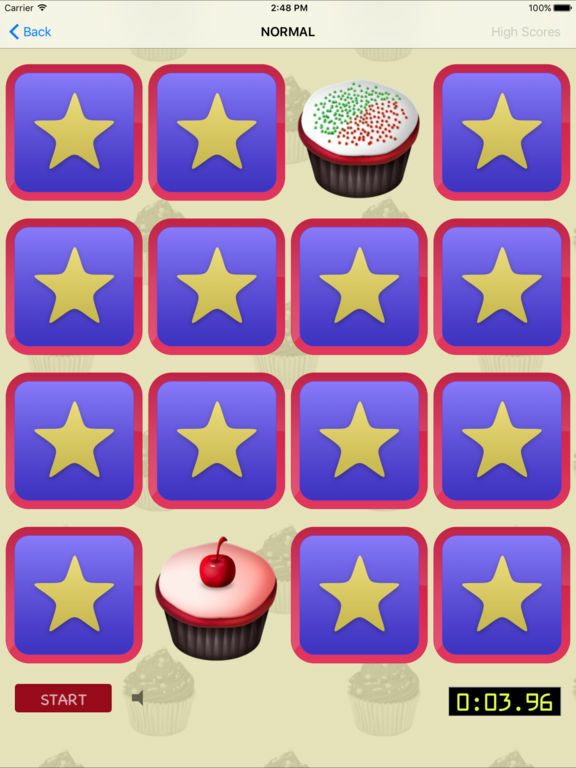 Tap to flip card, find those with the same cupcake to make them disappear. But Hurry up, because time is ticking. 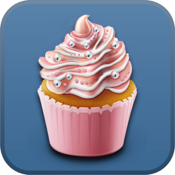 - Hard: find matching pairs in a 5x4 board.